Welcome to 250 Fremont. We have an optimized screen reader version of this site available. 250 Fremont is a brand new affordable housing community located in the Transbay Neighborhood in San Francisco. 250 Fremont is currently under construction and expected to be completed in February 2019. There is no on-site rental office and the site is an active construction zone. 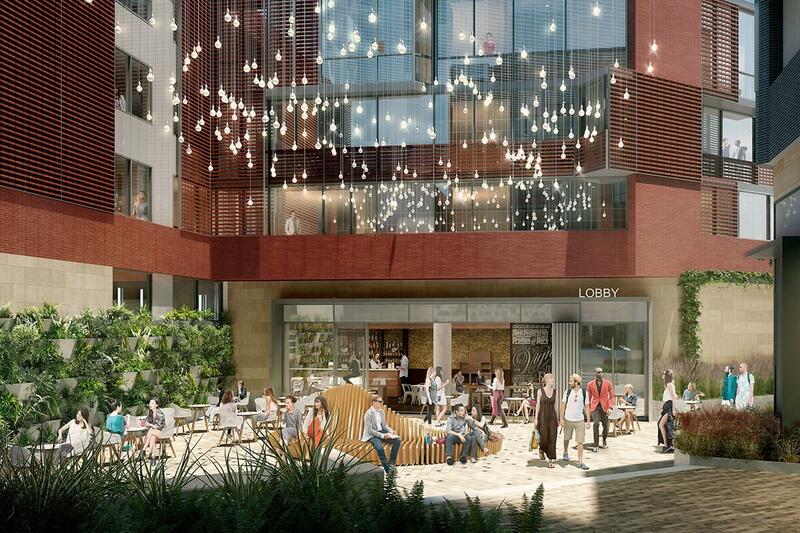 This new development is located between Folsom Street and Clementina. We are located just two blocks from the new Transbay Transit Center, San Francisco's Grand Central Station, and three blocks from the new 61-story Salesforce Tower. 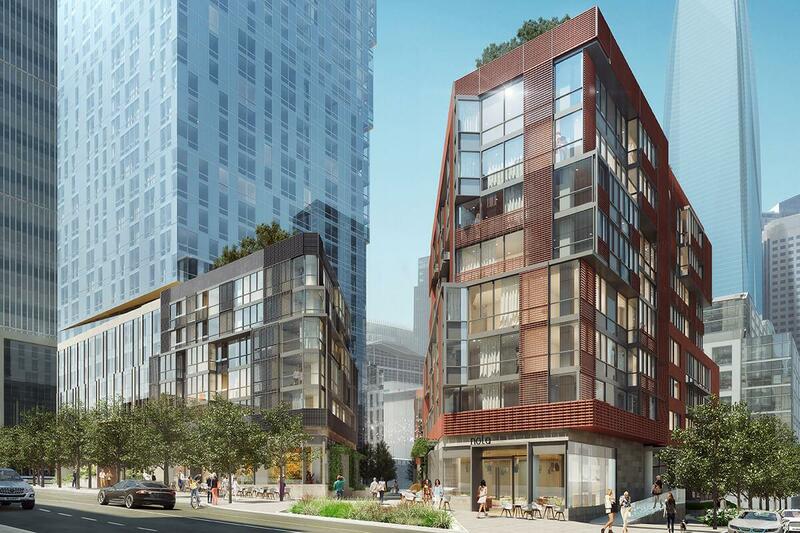 250 Fremont will feature two separate podium buildings with a total of 79 affordable apartment homes for households earning up to 50% of the area median income. The building will feature a mix of one, two, and three bedroom apartment homes. The application period will open on August 23, 2018, and close at 5 p.m. on September 13, 2018. Application information found on DAHLIA at housing.sfgov.org. The application lottery will be held on October 4, 2018, and the results will also be posted on DAHLIA. Please sign up on our Interest List to receive periodic updates. Please click on the “Rents” link for a list of rents and income qualifications. We look forward to serving your housing needs in the near future. Where is 250 Fremont located? The site is located on Fremont Street between Folsom Street and Clementina in the Transbay Neighborhood in San Francisco. The site is currently under construction with an estimated completion date of February, 2019. Where is the 250 Fremont office Located? There is no leasing office open at this time. We are still under construction and will advise when a temporary leasing office will open. Please sign up on our Interest List to receive periodic updates. 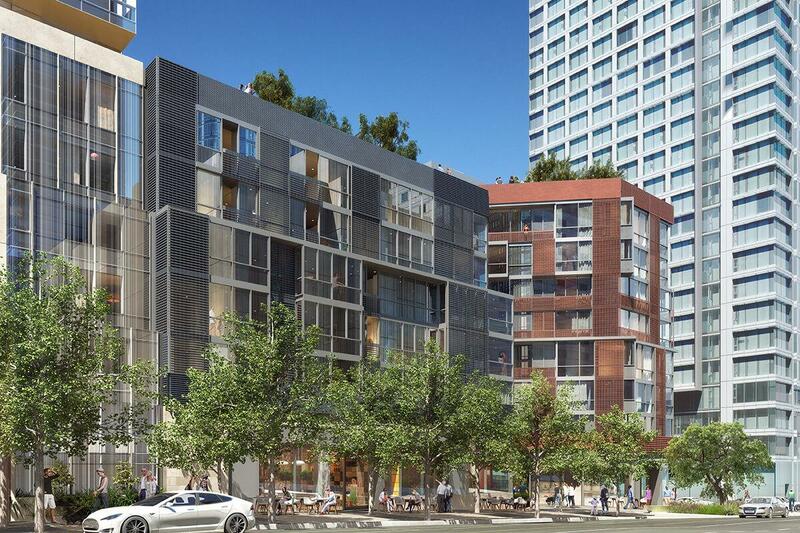 How many affordable apartments are at 250 Fremont? There will be a total of 79 new affordable apartment homes available. There are two mid-rise podium buildings and all units will be 100% affordable with rents set at 50% of the Area Median Income. There are 39 One Bedroom, 16 Two Bedroom and 24 Three Bedroom apartment homes. What amenities will be offered at this community? The building will include a lobby, shared laundry facility, rooftop community garden, community room, and an outdoor play area. In addition, there will be bicycle parking available in the parking garage. There will be a total of 17,000 sf of neighborhood-serving retail set around an open public paseo meandering through the site. 250 Fremont is proud to be a Transit Oriented Development within walking distance to all major transportation services including the new Transbay Terminal, Muni, and BART. Walk to local shopping, restaurants, Ferry Building and Rincon Park. How can I submit my name to the Interest List? You can add your name to our Interest List on this website. See link on the upper right. If your name is on the Interest List we will send you periodic updates on the application process. I want to apply. Where can I get an application? Applications will be available through DAHLIA at housing.sfgov.org. The application period will open on August 23, 2018 and close at 5 p.m. on September 13, 2018. How will application numbers be assigned? The open application period will run for 3 weeks. Once the open application period closes an electronic lottery will be held to assign application numbers to all applicants who submitted a complete application by the due date. You will be able to check your assigned lottery number via the website and on the City DAHLIA application portal at housing.sf.org. Can I attend the electronic lottery? Yes. The application lottery will be conducted at the main San Francisco Library at 100 Larkin Street on October 4, 2018 at 3:30 p.m. Results will also be posted to the website and on the DAHLIA portal at http://housing.sfgov.org. Attendance is optional. Are there any priorities at 250 Fremont? Certain applicant households of 250 Fremont may be given priority if their circumstances fall under 1 or more of the following: Certificate of Preference Holders (COP) will receive first priority for admission, (up to 100% of the units). Second priority will go to Displaced Tenant Housing Preference (DTHP) certificate holders (shall apply to 20% of the units), and third priority to applicants who live or work in San Francisco (up to 100% of remaining units). More information on this priority will be available in the application package. We cannot forecast this information at this time until the application period opens and closes. We are expecting a large number of applications to be submitted for this highly desirable community. After the lease up is completed the waiting list will be capped at 500 names. What is the location of the leasing office, I would like to pick up an application? Applications will be available online via the DAHLIA portal for ease of submission. Please check back for updates. No. This apartment community is open to all ages. This community will have a minimum and maximum income restriction, occupancy requirements and all prospective residents will be screened utilizing published resident selection criteria. There is a link on this website to a detailed income and rent chart that you may find useful to see if you may qualify. Is parking included with the rent? A limited number of assigned parking spaces will be available at 250 Fremont and will be assigned in lottery rank order. Residents who are eligible for a parking space based on lottery ranking may register a maximum of 1 vehicle per household. Rent control does not apply to our community and there are no rental subsidies offered as part of our rental program. Minimum and maximum income limits will apply. We will accept portable Section 8 vouchers and other tenant-based rental programs at this community. Is the income based on one person’s income? No, all incomes sources are counted for all members listed on the application. Income is based on gross income. How can I obtain more information on the lottery process, priorities and other information about the community? There will be an information workshop scheduled once the application period opens. Please sign up on our Interest List to be notified or check back to this website periodically. Information will also be posted on the DAHLIA portal at housing.sfgov.org.